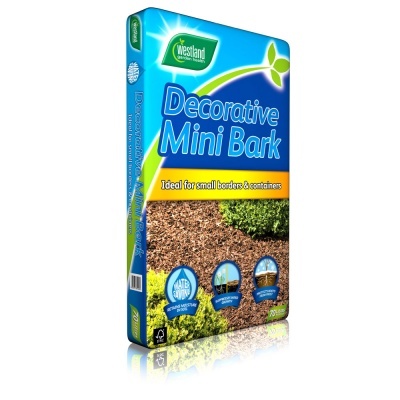 Westland Garden Health Decorative Mini Bark 70ltr Bag provides a smaller grade natural chip approx 8-20mm, ideal for use as a weed control covering mulch for moisture retention in smaller garden beds and borders. Suitable for use in keeping low maintenance smaller garden borders and areas where plants require root protection, whilst holding moisture in the soil for longer. 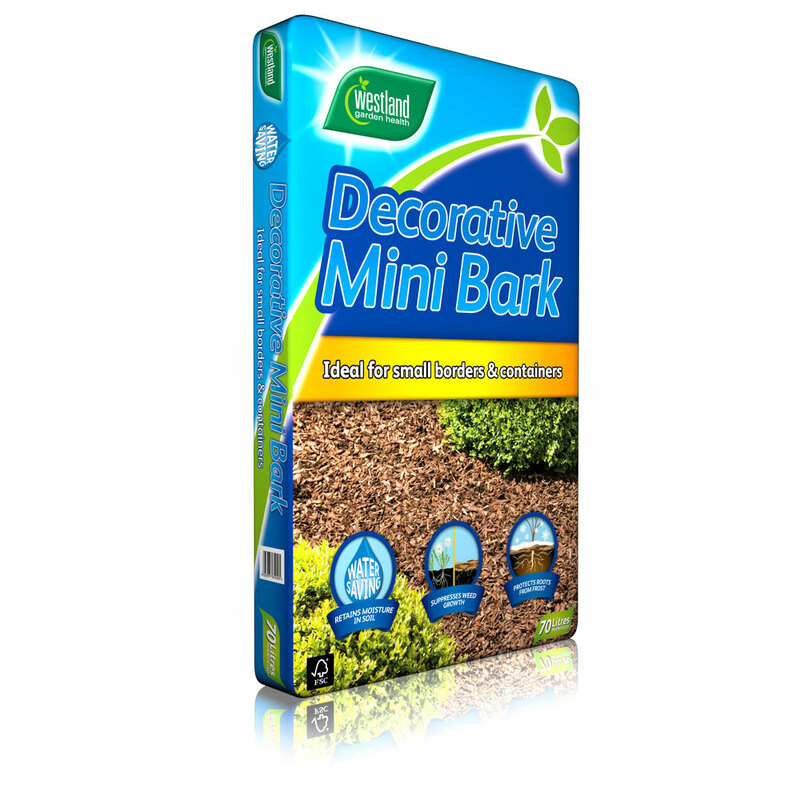 Mini Chipped Bark is popular for decorative use and brings natural benefits to your garden, walkway or landscaped areas and also recommended for soil covering in outdoor pots, containers and planters. Environmentally beneficial as reduces the amount of watering required, due to far reduced water evaporation from the soil.